Four thousand unemployed people gathered outside the offices of the Belfast Board of Guardians to protest about their mean attitude to the provision of relief. After the initial post-war boom years Northern Ireland experienced a depression. By 1922, 23% of workers were unemployed and for the rest of the decade around a fifth of all insured workers were out of work. Half of the regions' unemployed were in Belfast. Many were out of work for extended periods which meant they were no longer eligible for unemployment benefit and were forced to depend on poor relief. This relief was given by boards of guardians who had the responsibility to test if someone was eligible for help. 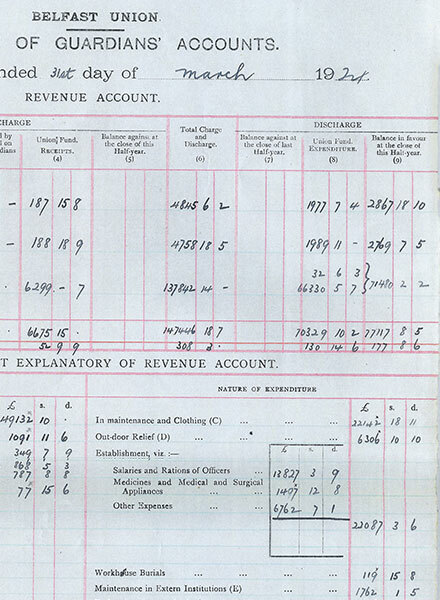 The Belfast guardians applied harsh and sometimes corrupt measures for giving out aid. Applicants were carefully questioned, nothing was given until savings were exhausted, relief was given in the form of groceries rather than cash and the names of successful applicants were posted on gable walls. 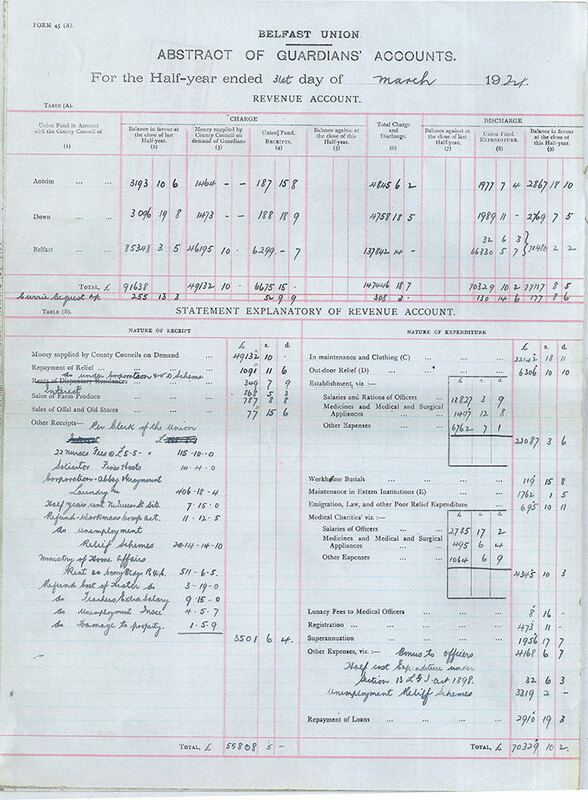 Accounts and clerk's half-yearly statements march 1924, note the small figure for outdoor relief.